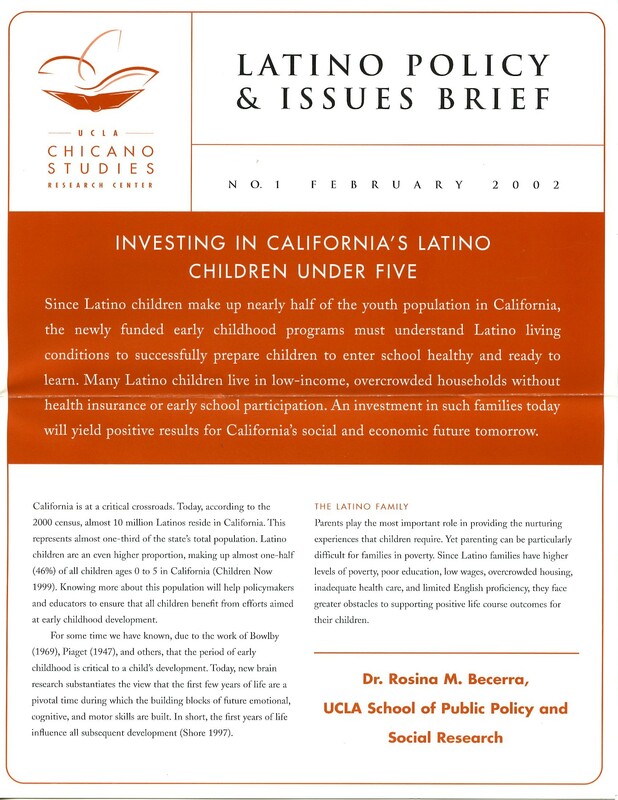 Since Latino children make up nearly half of the youth population in California, the newly funded early childhood programs must understand Latino living conditions to prepare children to enter school healthy and ready to learn. Many Latino children live in low-income, overcrowded households without health insurance or early school participation. An investment in such families today will yield positive results for California's social and economic future tomorrow.